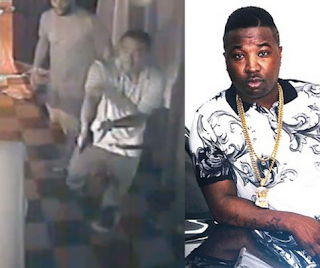 Last week Troy Ave was arrested and charged with reckless endangerment, criminal possession of a weapon, menacing and attempted murder after discharging a firearm backstage at a T.I. concert [click here if you missed that]. On Saturday it was announced that Troy's upcoming court hearing had been postponed until his discharge from the hospital. Troy is currently under armed guard and handcuffed to the bed at NYU Langone Medical Center. Troy may be facing an additional murder charge pending the completion of the ballistics investigation.